read charts professionally, and identify possible changes in trends. EXNESS Limited is entered in the Financial Service Provider Register of New Zealand as a supplier of financial services under number 3570551, and is also registered with the governmental organization the Financial Dispute Resolution Service under registration number 181164. EXNESS (Cy) Ltd, part of the EXNESS group of companies, is regulated by CySEC — the state regulatory body for investment companies in Cyprus (license no. 178/12).CySEC (Cyprus Securities and Exchange Commission) regulates the activities of investment companies to ensure their observance of the legislation and standards of the Republic of Cyprus and the European Union. Exness (Cy) Ltd will provide financial services only to citizens of countries belonging to the European Union. At the present moment EXNESS (Cy) Ltd is not engaged in the provision of services. An additional announcement will be made concerning the start of operations by EXNESS (Cy) Ltd.
XM , START WITH $30 FREE ! No deposit required ! Top Popular Forex Software ! 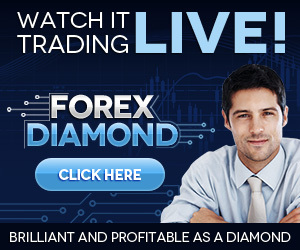 Forex Diamond Brilliant and Profitable as a Diamond !